We in Berkeley are all about being green and saving the environment, but wouldn’t it be nice to venture outside of the Whole Foods realm when looking for more earth-friendly items? We at the Clog think so. Because of this, we decided to create an all-encompassing guide to green shopping in our lovely town. From buying a bamboo toothbrush to looking for a gift that even the Earth will love, here are all the shops you should check out in Berkeley — Mother Nature will appreciate it! Need to pick up some essentials? A great place to stop is Lhasa Karnak Herb Company. This shop is a saving grace if you’re looking for any natural or cruelty-free body items. Plus, they have a large selection of loose-leaf teas and herbs that you can purchase, so make sure to bring your reusable containers! While the store may be a little daunting to some, the clerks are very helpful, and there are plenty of books to guide anyone who is new to buying holistic medicine and toiletries. And, just as a fun fact, the company first opened up in 1970, on Earth Day! After finishing up at Lhasa Karnak Herb Company, you may also want to check out Pharmaca Integrative Pharmacy. While this is a chain pharmacy, they offer great cruelty-free makeup and body products. You can also transfer your prescriptions here, cutting down on errand time, as there is a location right next to Trader Joe’s on College Avenue. Like we said, Whole Foods has a good selection of earth-friendly products, but c’mon! We can do better than that, people! 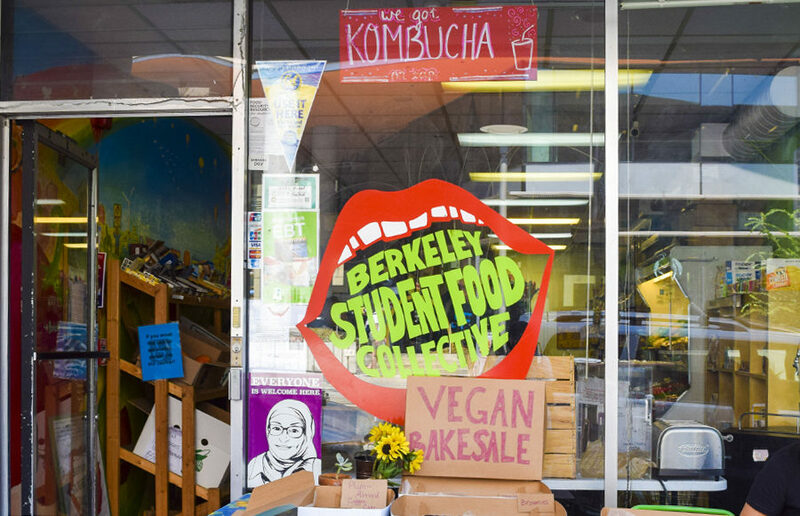 If looking for an alternative to this hipster haven, explore the Berkeley Student Food Collective. This is a great stop not only if you’re trying to grab a few quick groceries, but also for a healthy meal or snack. This place is also a nonprofit, meaning that the prices aren’t marked up for the store to make a profit. Hello, cheap organic produce. Another option to check out isThree Stone Hearth. Although not located right off of campus, the short bus ride (or walk) to this gem is worth the quick trip. Three Stone Hearth is the very first community-supported kitchen in the country, meaning that individuals in the area commit to buying produce from local farmers. This place is also very accommodating of any special dietary needs and releases a new menu every week. Plus, a lot of items are sold in reusable mason jars that you can bring back. It’s always nice to give a gift that has been crafted carefully, keeping Mother Nature in mind. That’s why we recommend Hatch. While a bit on the pricier side for us college students, this store has a plethora of decorative pieces that don’t leave you wondering about their origins. Along with this, many of the items wade outside of the typical eco-friendly gifts, such as jewelry, office accessories and home accents. Wave goodbye to cheesy, reusable trinkets and say hello to fancy, eco-chic gifts. Along with all of these unique shops, it’s best not to forget about our second-hand stores! Purchasing gently used items is a great way to help the Earth. So the next time you’re looking for clothing make sure to stop at Goodwill, Buffalo Exchange and Crossroads Trading Company (all of which have locations in Berkeley). Need furniture? Always start at Urban Ore, or even the Free & For Sale page on Facebook! Kirsty Fowler is the blog editor. Contact Kirsty Fowler at [email protected].